Improve your HEMI's engine bay by adding color accents, replacing plastic overflow tanks, dressing up the front dress or adding a catch can. 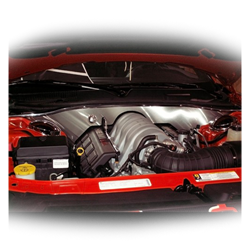 Dress up under your hood and add sylet to your engine bay with engine bay dressup kits and Stainless Steel Accessories. 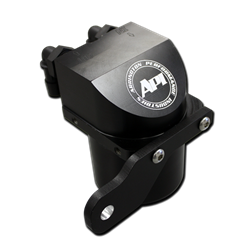 Reduce your blow-by oil with an air oil separators made for high performance HEMI vehicles. Add even more under hood bling to you HEMI with these custom Filler Caps and Cap Covers. Offered in a various colors and finishes. 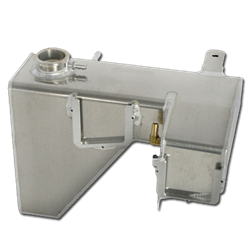 Stock plastic tanks and reservoirs fail after repeated high heat situations. 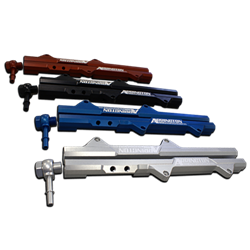 Replace your existing tanks and reservoirs with performance grade direct bolt-ons that are built to withstand the prolonged high temperature exposure of your HEMI powered road race vehicle. 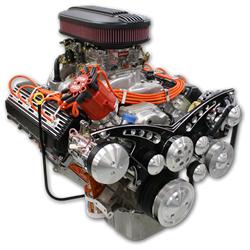 Increase your fuel supply to your high performance HEMI or just improve the look of your engine bay on your HEMI setup. 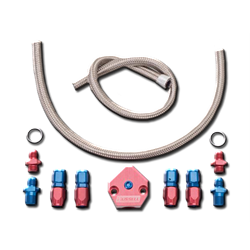 Upgrade your existing fluid lines with higher quality performance line kits specifically made to handle the stress of the high powered applications from your HEMI engine. 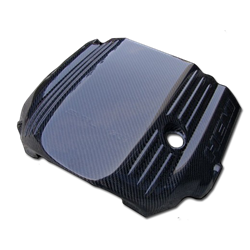 Add some style and improve the look of your engine cover with these custom covers made specifically for your HEMI engine. Various designs and finishes. 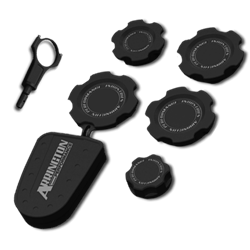 Replace your factory pulleys and covers and give your engine bay some style with one of these engine dress kits.